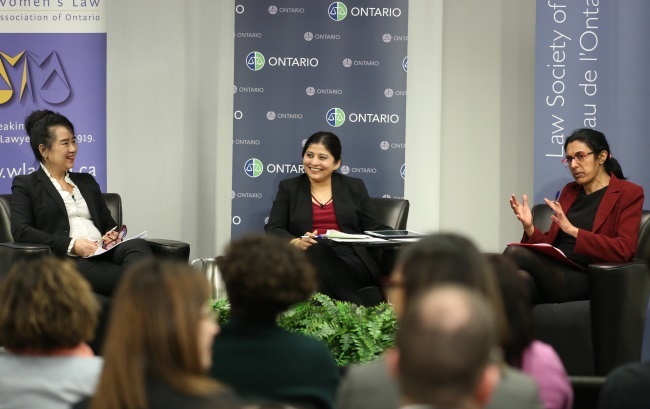 Fear — of speaking out, of repercussions or of damaging a hard-earned career — was a major theme at a panel discussion on sexual harassment and discrimination held at the Law Society of Ontario (LSO) to commemorate International Women’s Day. 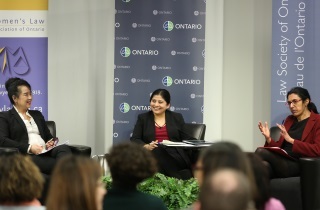 The discussion, called “Shifting the focus from reactive to preventive action on sexual harassment and discrimination,” was led by Deepa Matto, the legal director of the Barbra Schlifer Commemorative Clinic, and included Lai-King Hum, discrimination and harassment counsel (DHC) at the LSO, and Sharan Basran, manager of litigation for the Ontario Nurses Association (ONA), as panellists. 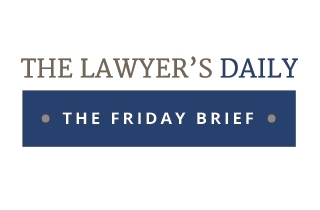 The topics revolved around why the #MeToo movement hasn’t rocked the legal profession as it has the entertainment industry and what voices are being left out of the conversation when discussing sexual harassment in the workplace. “Part of the reason why there hasn’t been such an outcry in the legal profession is we, as lawyers, know how hard it is to prove sexual assault, sexual harassment and sexual discrimination. But apart from that I think there’s also fear of repercussions,” said Hum, adding that she sees the #MeToo movement as a cry of moral outrage. “The law says that we’re protected, but I think on a practical basis many of us feel that by speaking out there may not be an articling position. There may not be a hire-back from the articling position. 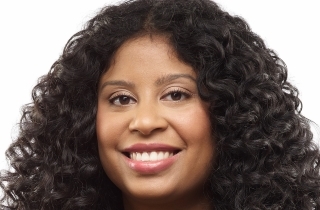 And many people fear — in a marketplace where articling positions are so hard to find, where law firms are downsizing, where the economy is just not very friendly to lawyers anymore — there is more than an incentive just to bear with it and just keep going,” she added. Hum asked the audience, which filled the Donald Lamont Learning Centre on March 13, how many of them had experienced, witnessed, or knew someone who had been sexually harassed or discriminated against in the legal profession. As half the hands in the room rose, Hum noted that the statistics gathered through the DHC don’t reflect this response. “In the latest report that came out, there were 16 complaints against lawyers by lawyers or paralegals. Of those 16, only five were directly or solely about sexual harassment. If half the audience here knows about sexual harassment and discrimination in the workplace, but we don’t know about it or the profession doesn’t know about it, it can’t really be addressed,” she said. Hum, the founder of Hum Law Firm in Toronto, has experience in labour and employment law representing both professionals and employers. She said that through her practice she knows that women want to deal with issues quietly and get on with their careers. Hum said she’s noticed a welcome shift in workplaces to believe complainants of sexual harassment. She thinks this change began after former CBC broadcaster Jian Ghomeshi was charged with sexual assault and Bill 168, the Occupational Health and Safety Amendment Act (Violence and Harassment in the Workplace), 2009, was passed. “The mandatory requirement for an investigation and reporting for complainants makes it harder for employers to sweep it under the carpet. There seems to be more of a willingness to rid the workplace of people who are toxic,” she said, adding that when she started in the legal profession there was a tendency for complaints to be bought out. Hum explained that the “tide had changed” and people are not tolerating sexual harassment and discrimination anymore. Basran noted that parallels can be drawn between the entertainment industry and the legal profession. She noted that in Hollywood there was a “culture of silence” that shattered when people started speaking out against former film producer Harvey Weinstein. The manager of litigation at the ONA said she’s witnessed retaliation against complainants in her own practice and noted that contributes to the fear people have of speaking out. “I’ve seen individuals file complaints and be terminated subsequent to filing a complaint. I’ve seen clients be terminated mid-investigation. So it’s a real fear and there are real power imbalances. When I was looking into what’s available in terms of recent data, I saw a survey that had been done by the Law Society of Ontario that surveyed articling students and found one in five respondents faced unwelcome conduct based on their gender, race, disability, sexual orientation and other personal characteristics,” she said. Basran said the legal profession may not have a “single groundbreaking moment” like Hollywood did with Weinstein. She thinks it will be more of a “cascade of moments” and noted that issues are still largely being dealt with in private. “I don’t think we’re necessarily outing particular individuals. To me, the takeaway of the Weinstein moment is we need to have the public conversation. It cannot completely be private. I think it’s so critical that whether it’s with your senior associate in the office, whether it’s at meetings, the space for these conversations needs to start happening,” she said. Basran also reminded the audience that law firms are still workplaces, so employers have a legal obligation to protect employees from harassment, whether it comes from a client or a colleague. Through her practice, Basran has represented clients who are not just being sexually harassed, but also dealing with discrimination because of their race or disability. She said #MeToo has largely been led by white women, which doesn’t necessarily reflect the diversity of the movement. “The quality and nature of the sexual harassment can be very, very different. I think about various transgendered clients who I’ve represented and the inappropriateness of trying to seek private information, or assumptions drawn about sexuality, are just astounding to me. Similarly, assumptions are being drawn about racialized women. The experience is not the same and I think for me that’s really the starting point in terms of understanding,” she said. Basran then drew attention to the diversity of decision-makers in the legal system and how that can impact conversations on credibility. “We understand that [presumption of innocence] is a sacred legal principle. At the same time, we have to be cognizant of when we’re speaking about the victim we’re not starting from a place of doubt or questioning their credibility, and those two concepts don’t neatly fit together, but I think that we need to be even-handed on both sides. I also think the presumption of innocence doesn’t mean the legal profession is immune from criticism, scrutiny, or self-reflection about what is going on,” she explained. Basran said the legal profession needs its leaders to step forward to make clear that harassment will not be tolerated. “We need a top-down approach. It’s ironic that we educate our clients about the law. We talk about Human Rights Code training for our clients, but I’m not sure, as a lawyer, there was internal education for lawyers in workplaces. I think there’s this presumption that because we know the law we don’t need education,” she said, adding that education can help workplace policies come alive. “I really do think a senior partner at a firm saying ‘here’s the policy. This matters to me. This is the expectation.’ And setting the stage is so crucial,” she explained. Hum noted that the DHC program, although funded by the law society, operates independently and is there to assist people with complaints in a confidential manner. “In my view, the DHC program serves two purposes. One, is to offer support, information and advise on options to people who contact us. In addition to providing information and options we can also offer mediation and reconciliation services,” she said. “The second thing that’s really important about the Discrimination and Harassment Counsel Program is in providing statistics to the law society. It provides the law society with the information that’s required to help tackle discrimination in the legal profession,” she explained, adding that without this kind of data the law society can’t address these issues within the profession. According to the 2017 DHC report submitted to Convocation, 13 complaints were made about lawyers by members of the public. Ten complaints were made by women, and involved intersectional issues, while the three men who made complaints all had disabilities. Nine of the complaints filed involved sexual harassment or discrimination.